Timing is everything. Everything from picking the right moment to ask a girl out to hitting traffic during your commute to filing your taxes, timing simply matters. Timing is a lesson that Steve Coburn has apparently never learned. Coburn is a co-owner of California Chrome, the racehorse that finished fourth in an attempt to complete horse racing’s Triple Crown at the Belmont on Saturday, and took the wrong time to air out his gripes with how horse racing is run or more specifically what horses run when. Right after California Chrome failed to complete the great feat, Coburn said that it wasn’t fair that his horse had to run against horses that didn’t have the same strenuous schedule. 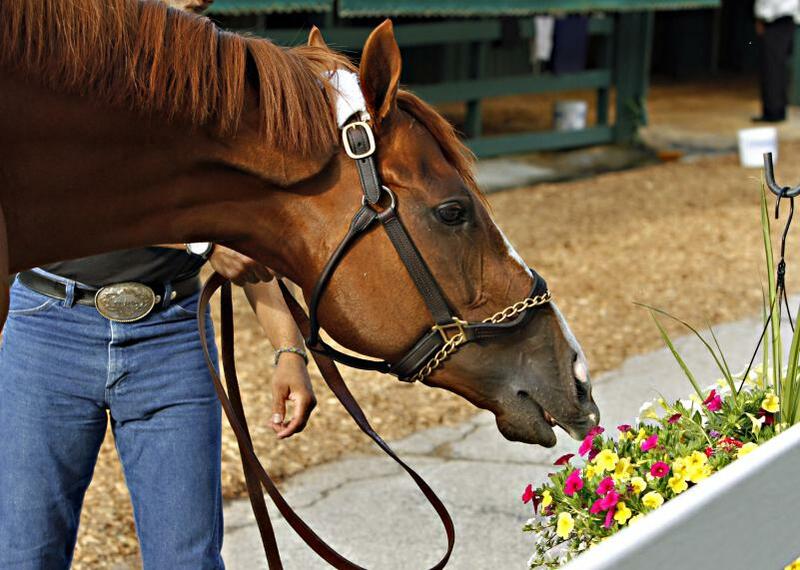 I thought he (California Chrome) was gaining ground, but he didn’t have anything apparently. He’s been in three big races. These other horses set one out (or both) and it’s not fair for the horses who are in it from Day 1. It’s all or nothing. It’s not fair to these horses that are running their guts out. This is a cowards’ way out. If you’ve got a horse that earns points that run in the Kentucky Derby, those horses should be the only ones who should run in all three races. Saturday’s winner, Tonalist, did not run in the Kentucky Derby or the Preakness. I think Coburn is right, to an extent, but he went about this all wrong. We don’t look too kindly upon poor losers and playing the ‘not fair’ card just moments after losing alienates a lot of people. Horse racing would benefit greatly if the same horses ran all three of the Triple Crown races. The familiarity draws people in and by the time the Belmont comes around the ordinary Joe would have his own favorite horse running in the race. I won’t pretend like I know what’s good for horses, I barely know what’s good for humans, but if a horse is physically able to run in all three of the races, they should run all three races. NASCAR wouldn’t have the same pizazz if Jimmie Johnson raced all year to get to the championship and then right when the last race came around somehow Travis Kvapil took it away from him. That isn’t quite fair. Professional athletes, yes, these horses and jockeys are professional athletes, should never play the ‘fair’ card. For the most part, pros get paid way too much and get things handed to them on a silver platter for anything in their life to not be ‘fair’, especially the owner of a race horse. I think what Coburn was trying to say is that it isn’t right. Just like it wasn’t right to give these comments right after losing. These comments are valid to a degree, but at a later date. This makes a great 60 Minutes or Outside the Lines report in a couple months from now, not a couple minutes after the race. The time may have run out too on Coburn’s credibility. Coburn was still hot on the topic on Sunday morning and compared the fresh horses going against California Chrome to him playing basketball against a kid in a wheel chair. There’s never a good time for that analogy. Six minutes later, you look like a jackass who is a sore loser. Sixty days later, you might come off a little bitter, but at least people might take you seriously. You simply have to pick your spots, because timing is everything.